The second 'destination' in Hermes' growing narrative of perfumed “Jardins” (gardens), Un Jardin sur le Nil transports us to the gardens at Assouan on the banks of the Nile river. Created by master perfumer Jean Claude Ellena, this scent is a floral fragrance with fruity undertones for both men and women to experience. Un Jardin Sur le Nil surprises with its dewy, wet opening of grapefruit, lotus and green mango... supporting floral notes of tender peony and blushing hyacinth add a sense of dimension and vastness to this perfume. It feels vegetal, sunny and green. Basenotes of sycamore and frankincense provide the earthy foundation upon which this garden has flourished. This Hermes creation remains a favourite amongst many as it shares shimmering aquatic qualities and evergreen summer fruits and flowers. It is a great scent for daytime, and enjoyed all year round, but particularly in summer. Marvelous. Launched in 2012, Opus VI is the sixth in a series of Library Collection scents created by Omani perfume outfit, Amouage. Known for their use of exquisite raw materials, Opus VI serves as proof positive that Amouage have spared no expense in producing this collection. A Spicy Oriental focusing on amber and incense, Opus VI takes you on a journey into the fragrant medinas and soukhs of the Near East. Fragrant Omani frankincense and dry green laurel (bay leaf) dominate the opening and there is a prickle of warmth furnished by sichuan pepper in the topnotes. An earthy / resinous heart of patchouli and sappy cypress twirl over striking ambers, labdanum and precious sandalwood. The projection and longevity of this perfume is titanic – a tiny amount goes a long way, enveloping the wearer in a cashmere cloud of ambers and incense. The overall feeling is dense, luxurious and mysterious... an olfactory abaya of great beauty. Opus VI can be enjoyed by both men and women and is perhaps best suited for special occasions and eveningwear. Yet another treasure from the vast Arabian peninsula. Hermes house nose Jean Claude Ellena is responsible for authoring the brand's range of 'eaux de colognes' – a series of brisk and uplifting splashes that are wonderfully satisfying, although also somewhat fleeting. These eaux were designed as a tonic to apply liberally, much like the classic colognes of yesteryear. In 2009, Ellena explored the rare flower 'Gentian', and gave it a starring role in Hermes' Eau de Gentiane Blanche. Because of their alpine home in the mountains of Asia, the Americas, Africa and Oceania, few have actually sniffed the actual flower, but some have tasted it in liquors, where it is used as a flavorant, especially in Europe. Ellena has done well to capture the spirit of this elusive blossom in this cologne. 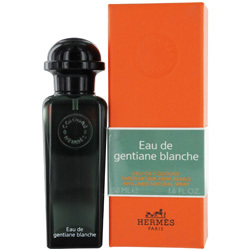 Eau de Gentiane Blanche opens with a slightly bitter, floral note of gentian, which is accompanied by a husky green / earthy iris accord. Musky notes anchor the scent to skin, and the sum of these ingredients hints at the presence of bell peppers or capsicums, although no such element exists. 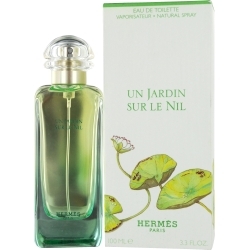 There is a green spiciness present which makes this cologne uniquely different to a number of the other Hermes eaux. Eau de Gentiane Blanche is often overlooked from the line, as its uniqueness differentiates it from its bolder, louder siblings. If you crave a unisex scent that is somewhat introverted and truly like no other, this is well worth a sniff. Bond No.9 have now been "making scents of New York" since 2003. Who'd have guessed back then, that in 10 short years, they would have more than 90 fragrances to their credit by 2013. Whilst some might baulk at a handful of their creations, there are a number of standouts, and Brooklyn is one case in point. 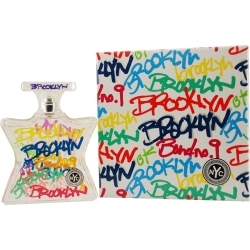 Brooklyn launched in 2008, presented in a graffiti-embellished bottle; capturing the soul and feel of this widely-recognized borough of New York. It is a spicy, oriental scent for both men and women, created to honor Brooklyn's hard working artists, designers, bloggers and musicians. It opens with sparkling grapefruit and sappy, boozy juniper berry... these notes dance over fragrant green cypress, exotic cardamom and aromatic geranium. An earthy base of woods and leather anchor Brooklyn to your skin for many, many hours. Brooklyn feels dense, bold and commanding... it strives to make a impactful impression, much like the hard-working creatives that it takes its inspiration from. This is one of the more successful unisex scents offered from a perfume house that is launching an average of almost 10 scents a year. 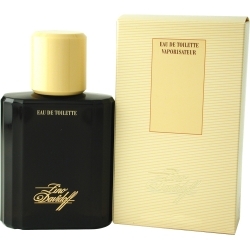 Perhaps best known for their smash masculine scent "Cool Water", released in 1988, I can clearly remember a time when almost *every* young man was wearing Davidoff's bracing aquatic fragrance, dispensed from a rectangular flacon of sapphire blue! However, the iconic Swiss tobacconists launched another much-loved and oft-overlooked classic the very same year; "Zino". Zino is devoutly masculine, but represents a clever marriage of floral, oriental and woody facets. It opens with bergamot, sage and aromatic lavender, over a heart of geranium, muguet, rose and jasmine. One might expect such an explosion of florals to take Zino into feminine territory, but it is deeply anchored with an earthy, woody base of cedar, rosewood, sandalwood vanilla and patchouli. Lovers of other striking masculine classics like Chanel's Antaeus will find Zino somewhat comparable. In an age of fresh, fruity, sporty scents for men, it is always nice to occasionally turn to the robust creations of yesteryear. Zino is a gem. If you were to walk the streets of Paris today, chances are you would see it awash with swathes of pink and black... Guerlain's La Petite Robe Noire has been heavily promoted in recent months with posters, billboards and performances in support of its launch. Originally released as a limited edition in 2009, LPRN has now been rebottled and re-released to a wider international audience. It's playful graphics and advertising themes are very much on par with the pretty juice inside. La Petite Robe Noire means “little black dress”, and this iconic mainstay in any woman's wardrobe has served as the inspiration behind this flirty, spirited scent. Mouth-watering topnotes of black cherry, liquorice and red berries dominate the composition and make for a cheerful, youthful opening. Almond, rose and black tea rule the heart, and dance over a considered base of amber, vanilla and patchouli. Packaged in Guerlain's iconic “bouchon coeur” flacon (usually reserved for the classics L'Heure Bleue and Mitsouko), La Petite Robe Noire asserts itself as a spritely scent in the modern Guerlain perfume portfolio which is carrying the revered French perfume house across the threshold and into the future. This scent has a playful, adolescent air about it, and lasts well on skin. Why not wear it on occasions one might their little black dress? Sometimes a house with it's roots planted deep down in the 19th century can be seen as somewhat conservative and stuffy, but thats not the case for Hermes. Whilst drawing upon their vast history that extends way back into the 1800's, Hermes still manage to create exciting, modern perfumes that record a vivid snapshot of our time in the here and now. Voyage d'Hermes is such a scent. It is inspired by the very idea of traveling, rather than the destination itself. It embodies vastness and bountiful space... an ethereal expanse of time and distance and an olfactory rendering of the invisible and the implied, rather than a place; an object, or a person. Listing the notes of this scent would almost prove pointless, as Jean-Claude Ellena's masterful blending renders many of them impossible to distinguish... rather, he has created an overall feeling of sheerness, like light and air filtering through the firmament. It is beautiful in its modernness, its simplicity, and its freshness. Voyage d'hermes is a genderless scent that feels avant garde, but does not feel out of sorts with other scents in the Hermes stable. Despite it's sweeping sense of airiness, it is surprisingly persistent. A wonderful, modernistic creation ideal for any person, any season, in any situation. Truly accomplished. Since 1983, the house of Amouage have been perfuming the royals and dignitaries along the Arabian Peninsula. Using traditional raw ingredients from the region, Amouage perfumes are of exceptional quality and beauty. Only in recent years, has the Amouage legend reached into the Western world, bringing with it scents of unrivaled elegance and luxury. Honour Woman - launched in 2011 – is presented in a beautiful white glass flacon with weighty gold cap, representing the shape of the Palace Ruwi Mosque in Oman. It is a befitting and enchanting presentation for this ravishing floral oriental which is dedicated to the story of Madame Butterfly. Tender notes of jasmine and gardenia flourish over a concentrated core of carnation, tuberose and lily-of-the-valley. These impressive blooms have been treated beautifully, maintaining their Geisha-like hushed transparency from beginning to end. A simmering base of amber, incense, leather and resins allow the perfume to beguile and enchant for many hours. There is deep complexity, but the beauty lies in the fact this perfume still feels as delicate and weightless as a butterfly. A tenderhearted yet seductive perfume full of grace and beauty. Jean Paul Gaultier is now an iconic fashion figure, admired for his haute couture stylings and his perfumes which are still amongst some of the best-sellers of our age! Kokorico, launched in 2011, takes his fragrance fans on a new olfactory trajectory that focuses on lip-smacking cocoa and woody notes – a far cry from his iconic mint / lavender / vanilla scent, Le Male. Kokorico has an energizing opening of fig leaf which rests upon a gourmand core of natural cocoa extract. These notes stand on a staunchly masculine foundation of fragrant cedar, dark patchouli and earthy vetiver. (Lovers of patchouli-based scents will fall for this one, as it has it in spades)! The obsidian-black flacon is spectacular design achievement; one angle a depiction of a man's head in profile, and the other looks like the now-iconic male torso flacon that Gaultier is perhaps best known for! 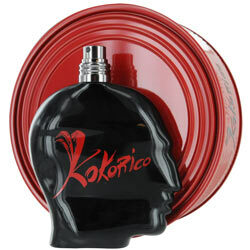 Kokorico will appeal to the younger set and is the ideal fragrance for a night out on the tiles. The word “Kokorico!” in fact is the boastful cry of a rooster, or the conquering cry of a man filled with pleasure. Brazen, bold and full of sass. 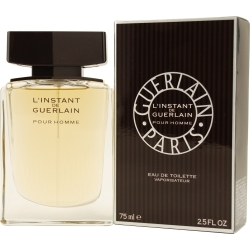 2004 welcomed the launch of a masculine / feminine Guerlain duo – namely L'Instant de Guerlain. L'Instant Pour Homme is a striking woody spicy creation that is both distinctive and individual. Swiftly gaining cult status amongst fans of the brand, L'Instant Pour Homme and L'Instant Pour Homme Extreme are proof positive that a perfume house with a 190-year history still have it today! This fragrance has a triple-threat citrus opening of lemon, grapefruit and bergamot, but moments later an incredible cacao accord moves forward to suggest a wonderful powdered chocolate / jaffa vibe. Fortunately, the supporting notes of lavender, patchouli, cedar and sandalwood do well to minish the saccharine nature of the opening. L'Instant Pour Homme feels beautifully blended – a seamless arrangement of accords evoke feelings of comfort, uniqueness and masculinity. A woody, resinous, musky trail linger on skin for many hours. This scent is perfect for the office, or outings in the evening. It's well-edited, and won't fail to turn heads.